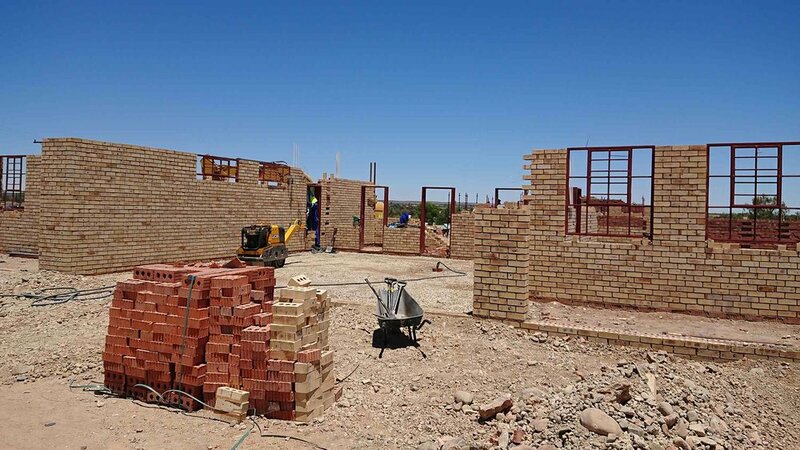 The agricultural town of Douglas has a growing population of children and the community was in dire need of a new school to replace to dilapidated prefabricated school buildings which currently serve the area. 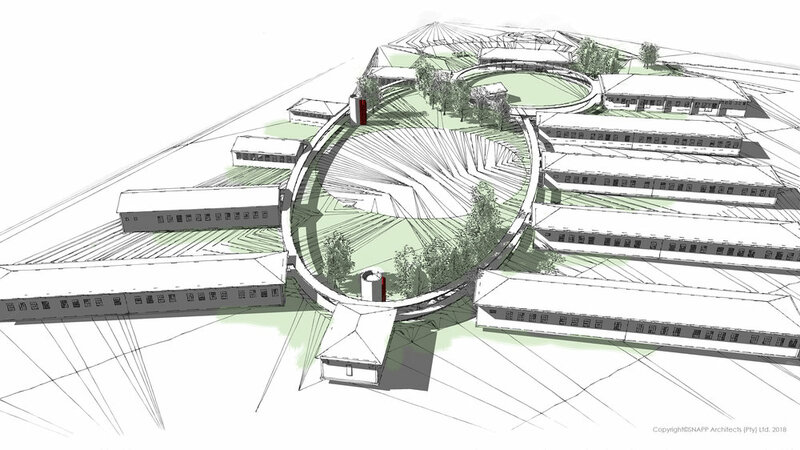 The department of education appointed SNAPP Architects to design a new extra-large primary school on a green-field site adjacent to the existing high school campus. 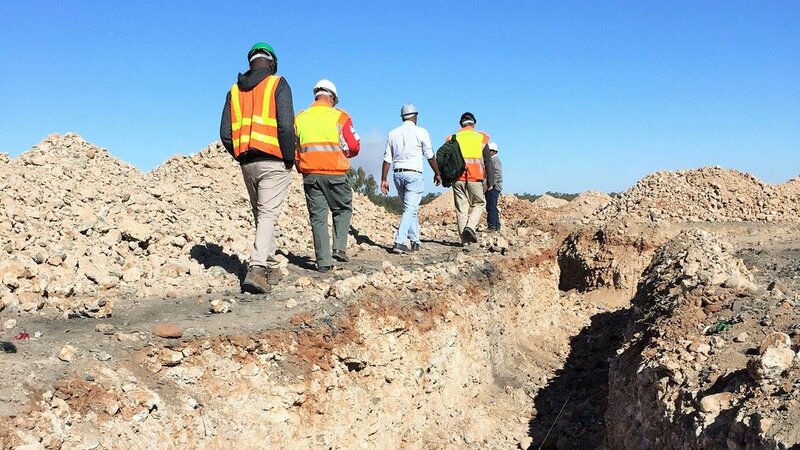 The site slopes steeply from north to south with views over the neighbouring residential area to the nearby Orange river and farm land beyond. The design is thus determined by its context, by the sloping contours across which the buildings step and the rural views which the walkways frame. Budget constraints and spatial efficiency are inevitable considerations when working within departmental parameters, however whimsy and dynamism were introduced wherever possible in response to the natural context and to encourage engagement and joy in the learners. This can be seen in the use of circles in the landscaping and the form of the main courtyard “hub” of the school as well as the selective use of colour in the plastered window surrounds and feature elements, along with the varied heights of these windows which encourage interaction with the built form. 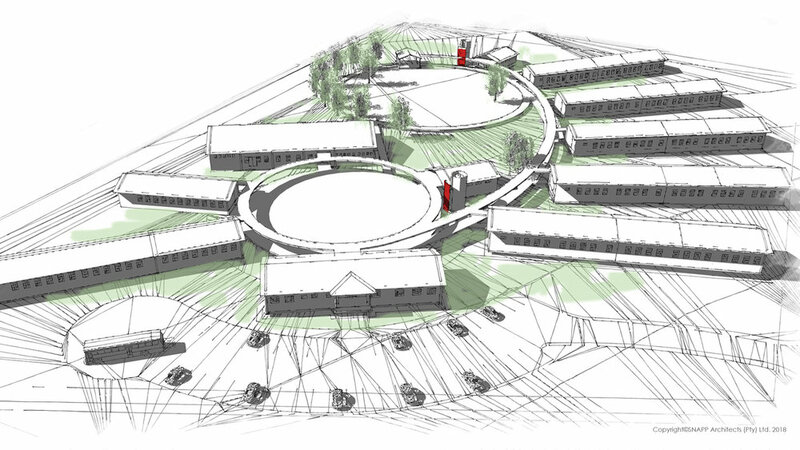 Much care was taken in designing the layout of the school as a whole so as to respond to the immediate context and the broader agricultural setting. The school hall is located so as to create a civic presence in the community and is available for use after hours separate to the school. The Early Childhood Development classrooms are separated from the rest of the school with an exclusive play area for the youngest children on a large flat area at the top of the site. Adjacent to this a tall water tower is positioned and will become a landmark in the town. Contrasting this, the sports field is located at the lowest point of the site so that it can be accessed separately by the community for non-school related events. This position also facilitates gravity fed irrigation from the storm water channels throughout the school. Services and maintenance are essential considerations. This affects not only the material choices but also the unseen elements of drainage and structure which are specified for maximum longevity with minimum maintenance requirements.